Hello, you have a great website for the world's most talented girls rock band Scandal! 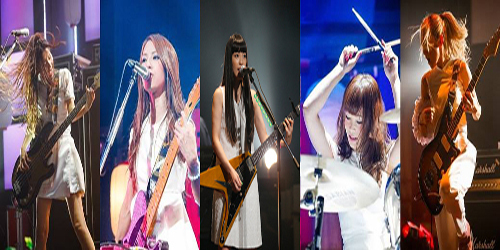 The members from Scandal are very talented, they have pure natural born musical abilities. I've been listening to them ever since they started to break into the music scene. Hope they can perform more concert tours in America. So many of the fans of Scandal are so super nice, they have a great fan base in Japan and all around the world. So if you'd like to add my affiliate badge to your affiliate page that would be wonderful. If you don't want to add it, I will perfectly understand, no problem at all. Just wanted to offer it just in case you are interested in doing so. Here is the html code, hope I'm posting correctly. Hopefully I followed the rules for posting correctly. Sorry in advance, if I didn't follow guidelines correctly. Thanks and have a super great day! Keep up the great work on your excellent website for Scandal!! ^ Thanks and no problem! Added your site to our affiliates page! Can I post affiliates too? Hi mc~, I want to affiliate with SH. hi, I just affiliate with SH here in my Tumblr Blog..
Do all the affiliates have to be SCANDAL-related? Is it nessessary? jigoku79 wrote: Hi mc~, I want to affiliate with SH. Ceej!~ wrote: hi, I just affiliate with SH here in my Tumblr Blog..
Added, please remember to add us too! Thanks! koolkat96 wrote: Can I post affiliates too? koolkat96 wrote: I have a question! Anyone who have affiliation rights to the site being affiliated can. Not necessarily SCANDAL related, any Asian music can do as long as I see no problem with SH being affiliated with it. Thanks mc~ and oh.. I just made the banner.. would you mind? mc~ wrote: Anyone who have affiliation rights to the site being affiliated can. So,um, can I post my anime forum here? Do you mind? Ceej!~ wrote: Thanks mc~ and oh.. I just made the banner.. would you mind? koolkat96 wrote: So,um, can I post my anime forum here? Do you mind? Can I affiliate with you? Will this go? Or do you need a bigger size? Sorry for the very late response. Affiliation request accepted, thank you for affiliating with SH! mc~ san .. http://www.scandaloid4.blog.com/ an admin of our blog already requested it .. do you remember ?i'm an admin in that blog too.. and i'm new here.. nice meeting you anyway .. we wanted to be a part of your forum .. thank you very much ... and this is the image ..
Hi This is the Creator of Scandaloid4 . Maeshima wrote: Hi, im from Leo House International. Please affiliate with us! モンちゃん wrote: mc~ san ..
Kunikosanjo wrote: Hi This is the Creator of Scandaloid4 . Affiliate links added. Thanks for affiliating with SCANDAL HEAVEN! RinaLoid of SCANDALoid4 here. thank you for including us in your affiliates, admin san! I'd love to become affiliated with SH. 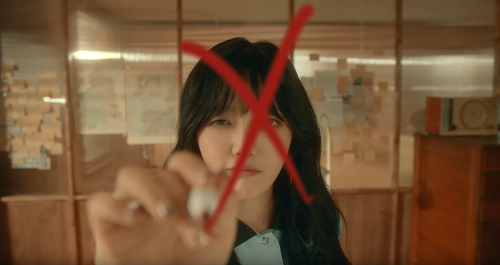 admin san? me, too! there are SCANDALous stuff on my blog, too. arigatou! i have already made SH an affiliate. Hello! Can you update the affiliate banner for Very Good Days please? We updated it to include AIMI and Draft King. Thank you! The last links at the very bottom also seem to have some problems. Not sure why, but the HTML image isn't showing up for me.